Building coordinated and effective response by the government, international actors and local organizations in the fight against HIV/AIDS in Swaziland. Pact Swaziland aims to build a coordinated and effective response by the government of Swaziland, international actors and local organizations in the fight against HIV/AIDS. Pact has two programs currently running in Swaziland, USAID’s $17.5 million South Africa’s Regional HIV/AIDS Program (RHAP), and a project funded by the Center for Disease Control in partnership with Columbia University’s International Center for AIDS Prevention and Treatment Program (ICAP). Pact is the promise of a better tomorrow for millions of people worldwide. An international, nonprofit organization, they strive for a world where the poor and marginalized exercise their voice, build their own solutions and take ownership of their future. They believe the only way to achieve this future is when it is based on a firm foundation of locally built, lasting solutions. For more than 40 years, Pact has partnered with thousands of regional, national and local institutions to tackle poverty through a unique brand of international development—one that approaches poverty from all angles. 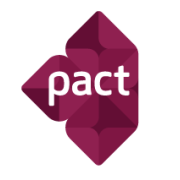 Pact’s integrated approach focuses on systemic changes needed to improve people’s lives. Strengthening local capacity, forging effective governance systems and transforming markets, enabling people to earn a dignified living, be healthy and benefit from their natural environment. Across Africa, Asia, Europe and Latin America, Pact has offices in more than 25 countries, implementing projects that have ranged from less than $100,000 to more than $250 million in partnership with thousands of regional, national, and local institutions, as theyll as dozens of national and international development agencies, foundations and corporations. Today, they work with more than 24,000 partners worldwide. The intrinsic value of Pact’s integrated approach is the ability to work across technical areas to design holistic programs that squarely address multiple, interwoven factors associated with poverty and marginalization. Stronger local organizations and networks do better work, resulting in a greater impact on health, livelihoods and the environment of their communities. From the Organizational Capacity Assessment tool, which evaluates partners’ strengths and weaknesses and helps them plan for the future, to the Organizational Performance Index, which tracks performance, Pact helps partners broaden, deepen and strengthen their capacities, enabling them to carry out solutions in an effective, efficient, relevant and sustainable manner. The quality of governance is one of the central factors affecting communities, from delivery of services to the effectiveness of local institutions. Pact works with citizens, local organizations and governments to nurture positive state-society engagement based on inclusiveness, responsiveness, transparency and accountability. Their goal is to enable a virtuous circle of gradually improving governance conditions. Access to markets is vital to improving local economies and ensuring individuals have the means to sell their goods. Pact works with local partners to assess and develop markets, improve production capacity and strengthen supply channels. They also work closely with communities, governments and the private sector to establish markets that encourage safe, non-exploitative practices, particularly in the mining and forestry sectors. Income security allows individuals to withstand unforeseen shocks and provide for the needs of their families today and tomorrow. Pact strengthens people’s assets and networks through education, training and empowerment programs. From micro-banking services to household economic strengthening, they support sustainable livelihoods and engage market systems to strengthen individuals’ linkages to value chains. Access to health products, services and information is critical for vulnerable populations to enjoy a healthy life. Pact strengthens the capacity of individuals to improve their health and that of their families, communities to identify health concerns and advocate for services, and governments to ensure delivery of quality services. They work across the health system continuum to tackle some of the most formidable public health challenges. Across the world, communities, often those who are poor and marginalized, depend on the resources that nature provides for shelter, food and livelihoods. They work in partnership with communities, institutions and governments to responsibly conserve, sustain and manage natural resources, from forests and waterways to croplands and mineral deposits.